Many people after a certain period, want to delete their account on Facebook in its final form, whether for personal, social, or even economics reasons, but most users find it very difficult, which is an obstacle. Today, after research in this area, I found the perfect way to complete this process successfully, only follow the simplified explanation below. 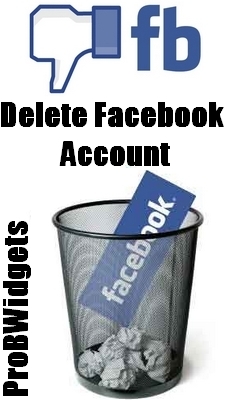 First you must log in to your account that you want to delete it through this link facebook.com. After making your decision to delete your account for ever, i mean you will not be allowed to reactive it or to get it back, if you steel thinking that you can't delete your account for now then ignore this post. If not! keep reading then. Click the button below, a new page from FB will opened asking you if you are sure want to continue. As the picture below shown click Delete my account Button. Then a message appears warning effect that if you deleted the account will be disabled for 14 days, because if you logged into your account again will be asked by you to activate the account, it meaning you should not log in for the period mentioned above. 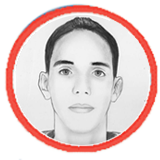 That's it, for that matter, I hope that you will have benefited with us any inquiry or question I am under the reference, waiting for your comments. Have a nice day Bloggers.